Queen of Katwe tells of the passage of a young Ugandan girl from poverty to chess championship. That unlikely journey demands the nuanced acting and strong direction that this movie delivers. 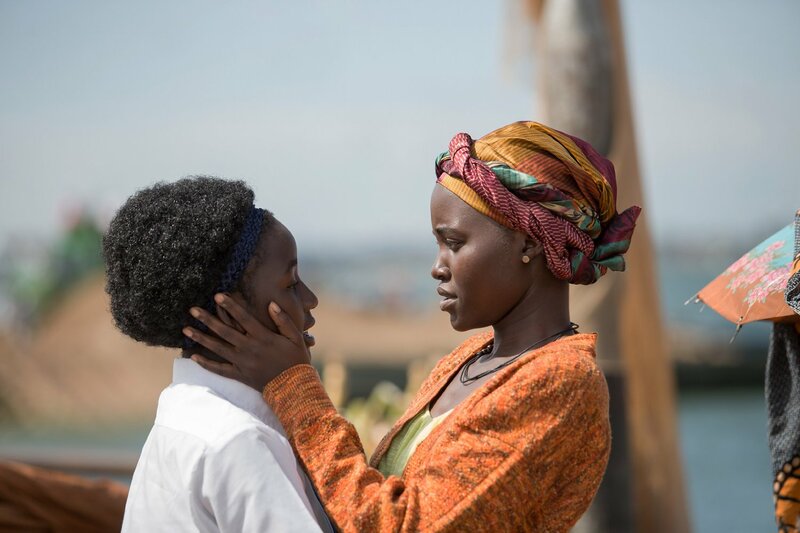 It is full of fine performances including a towering one from Lupita Nyong’o who conveys the desperate need for the discipline that will allow her to guide her children to adulthood when they often have nothing to eat and all sleep on the floor. Throughout the movie director Mira Nair gives us a rendering of a culture of poverty that stuns us to silence. The sheer numbers of people rummaging among the crowds for food, looking for ways to earn money and facing certain defeat while we sit comfortably in the theater is overwhelming. The heat, the hunger, the noise, the lack of hope. In the middle of this crushing culture, single mother Nakku (Lupite Nyong’o) struggles to keep her family alive in their fragile shelter. She is harsh with them to the point of alienating all of us who are watching until we gradually begin to understand that it is her way of holding her family together, of protecting them from the dangers that surround them. She is trying desperately to help them find a way out, to educate them in a school and in her home so they will one day be able to escape their poverty. This beautiful story is never sentimentalized. It washes over audiences with all its rough edges as Phiona struggles through the emotional and physical pitfalls of her upward climb through different worlds. As fine as the cast is, the towering performance comes from Lupita Nyong’o as Phiona’s mother. Against the impossible odds of their immediate surroundings, she imposes the harsh discipline that will protect her children and allow them to rise if ever they get the chance. A final salute is due to Disney who made the film. We can be forgiven for expecting they might have made it of sugar. They didn’t. This review was posted on October 21, 2016, in Biography, Drama, Sport. Bookmark the permalink.